The week has just flown by in Sochi. I can’t believe I’ve just got three more days before I say “до свидания” to Olympic Park and my new friends. 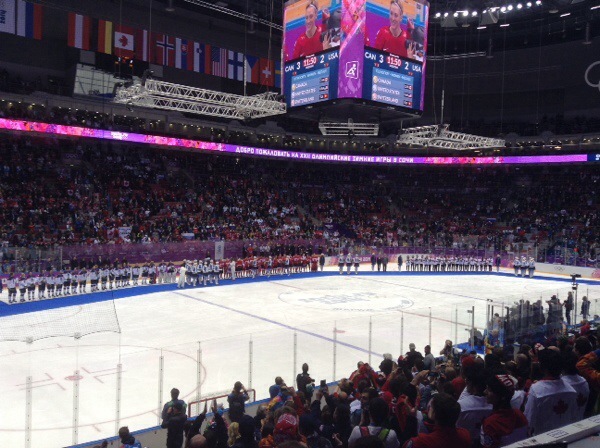 I spent last night watching the gold medal game for women’s hockey, and honestly, I’m not sure if the men’s game tonight will compare, no matter the outcome. 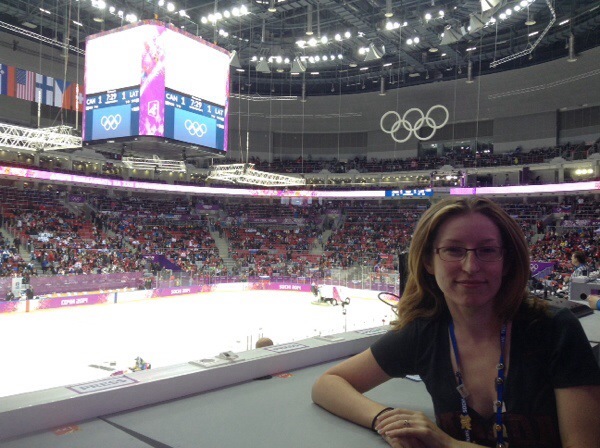 Being in the stands — and seated so near the many Canadian athletes who came out to cheer — was unbelievable, and ranks as one of my favourite hockey experiences. 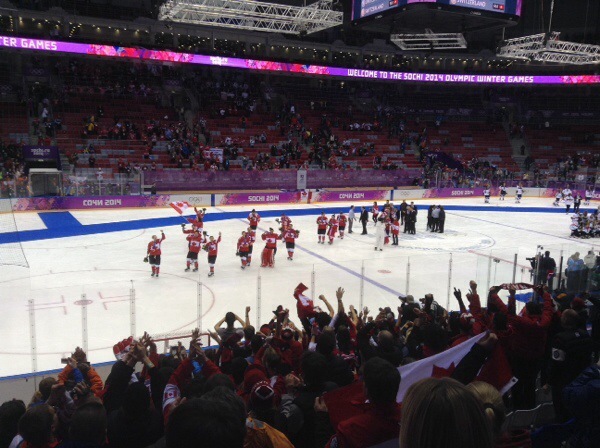 Seeing Patrick Chan and Scott Moir freaking out when the tying goal was scored was quite possibly the cutest thing ever, and then the entire contingent of Canadian Olympians in the stands rushed over to serenade the women with O Canada. So proud of our athletes. 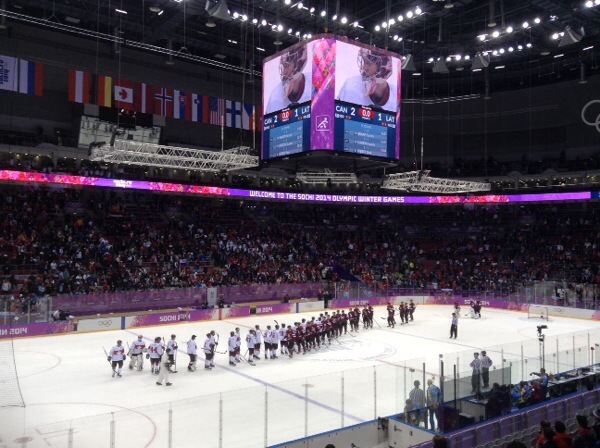 The men’s hockey game between Russia and Finland was intense. 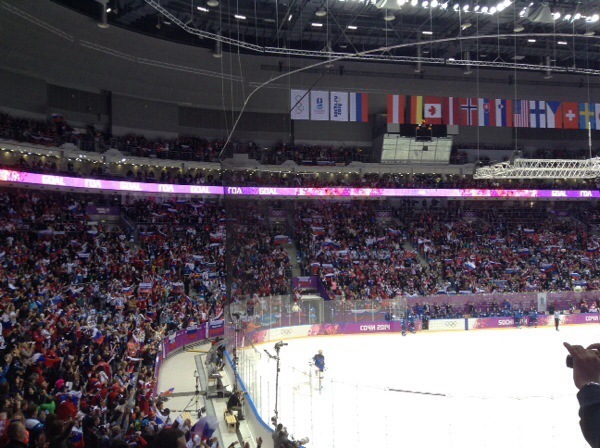 The Russian fans were the loudest I’ve ever heard — the atmosphere far surpassed any NHL game I’ve ever attended, including the Stanley Cup Finals, Game 7. 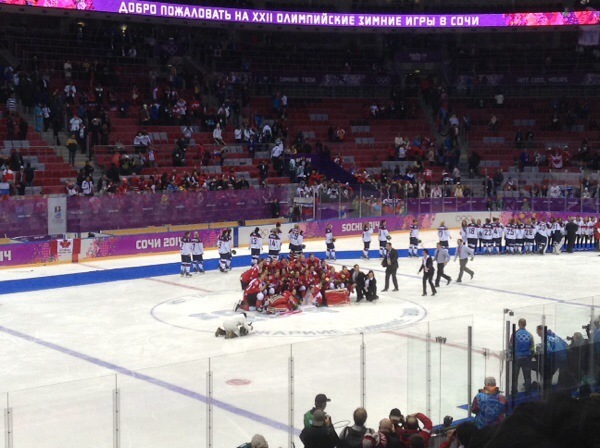 It was tough working the mixed zone and press conference afterward, seeing the Russian players and coach just at a loss to explain their early exit from the tournament. 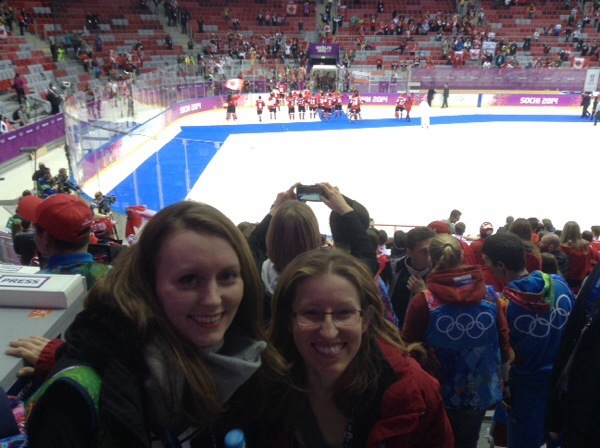 It was definitely more exciting than the Canada versus Latvia game later that night. I was off shift but was able to change out of uniform and grab a seat to cheer on Canada. Seriously impressive performance by the Latvian goalie. 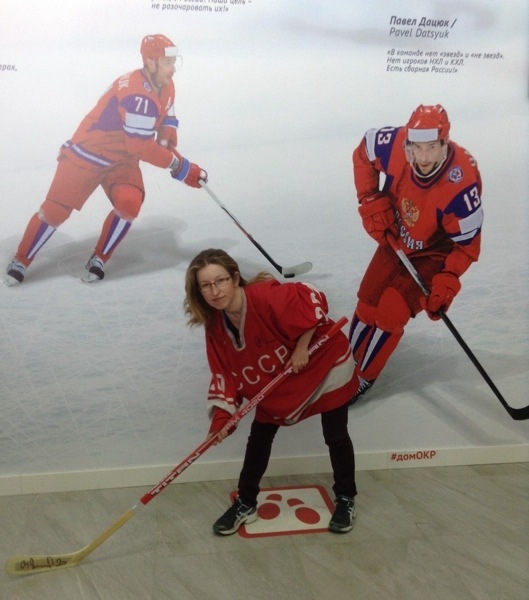 During a morning off, we checked out the Russian Fan Experience, where you can get photo ops representing each of the Olympic sports. Maybe if the Russian team had called me up, the outcome would have been different. Couldn’t have been worse, right?